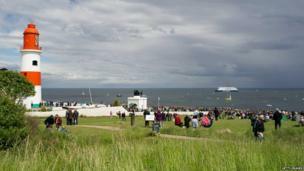 Hundreds of people gather at Souter Lighthouse in South Shields to hear a one-off musical performance in celebration of the foghorn. 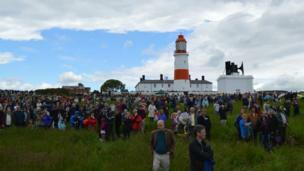 Hundreds of people gathered at Souter Lighthouse in South Shields to see a one-off musical performance in celebration of the foghorn. 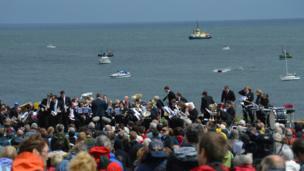 The requiem was devised by artists Lise Autogena and Joshua Portway, with the score written by British composer Orlando Gough. 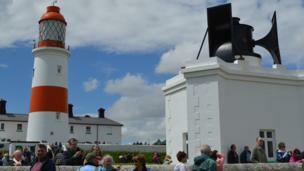 It was played by three brass bands and the foghorns of Souter Lighthouse and vessels on the North Sea. 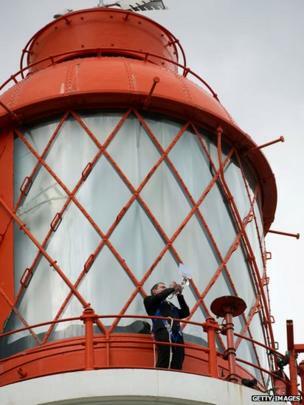 The 50-minute performance was a tribute to lighthouse foghorns which are gradually being decommissioned across the country. 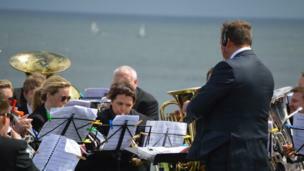 The unique musical work was commissioned by South Tyneside Council and the National Trust, which took over the running of Souter following its decommissioning in 1988. Among the vessels taking part were the DFDS Seaways' cruise ferry Princess Seaways and vessels from maritime organisations including the RNLI, Port of Tyne, Northumbria Police and the North East Maritime Trust. The ships on the sea were conducted using new technology on the shore. 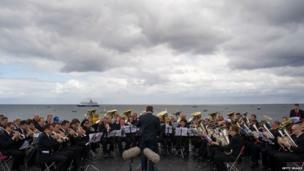 Sound was adjusted to compensate for wind direction, climatic conditions and distance from the shore. 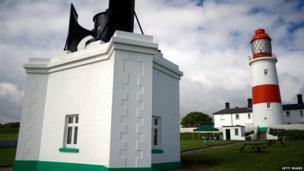 Used for centuries to guide ships away from the rocks, foghorns are being decommissioned as vessels rely increasingly on satellite navigation systems.